Say hello to radiant and youthful-looking skin with the Eve Lom Moisture Mask. Formulated with an advanced complex of skin quenchers, it replenishes and rehydrates dull skin, leaving you with a soft and supple complexion. As well as providing instant brightening results, this intensive mask also increases cellular renewal and protects your skin against future dehydration and environmental damage. - L.M. 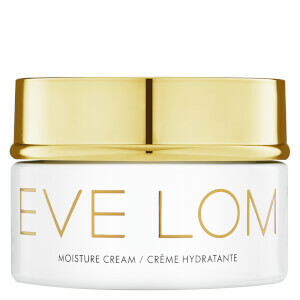 EVE LOM Hydrating Mask! Non-general potent moisturizing ** Super Available - very useful product! ! ! After using immediate effect, moisturizing, whitening, soothing, pores smaller, can improve skin moisture and locking, effective soothing the skin, improving the skin's fundamental problems. After using the rescue mask, it really does give me a WOW as my pores are much tighten and my skin looked less blotchy. I use it 1-2 times a week, and I think it can really clean my skin quite well! It also calms a bit on my acnes! So I quite like this mask!! Someone said the smell is a little bit strange, but I think it is quite nice in a sense that it can wake me up!!!! It is the best mask before i used. suggest everyone buy. My skin was looking a bit haggard because of breastfeeding. All the crows feet were deeper than normal. I've used this instead of night cream a few times and the lines look much better in the morning. You can feel the skin sucking up all the moisture. It is a lovely consistency- not at all oily. I bought it with 20 percent off so it was a good buy. I am a big fan of Eve Lom Cleaner, instroduced it to friend and they all love it too. one of my friend tried on the Moisture mask as she love the cleaner. Now she is in love with the Moisture mask too, I bought 4 for her when on offer, that is how much she loves it. This mask is so wonderful and the effect of moisturer is obvious and high-quality. Anyway, I really like this mask and recommend it to you guys. its moisturing effect is very good，especially in winter.For dry skin，i will always buy it. I leave it for 45 minutes usually, yes, it hydrates my skin since I have dry sensitive skin. However it is hard to take off the excess product by tissue because after doing so most of the time you feel something oily on your skin and that is not comfortable. When I raised off by water, it is too oily and many breakouts on my skin. Luckily, I raised off quickly, unless I will get more serious breakouts..Omg. After using the skin is very soft, moisturizing effect is very good. When there are discount will also buy.